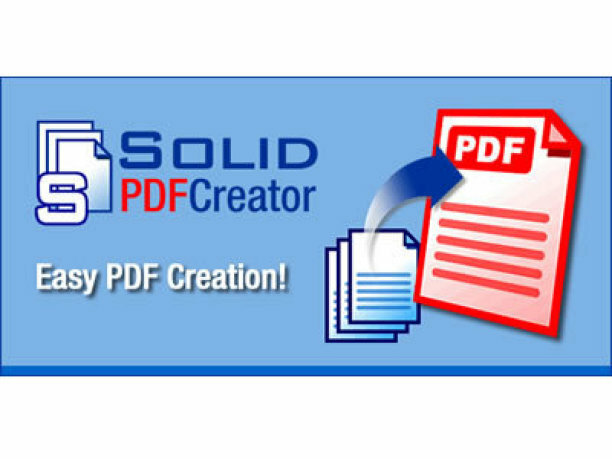 Solid PDF Creator is one of several excellent PDF conversion and creation products from Solid Documents. Review the comparison table below to see which one best fits your needs, then click the Buy Now! button to purchase the appropriate product. Its features:Print to PDF,Password-Protect your PDFs,Encrypt your PDFs,Set PDF Permissions,Set Document Properties,Custom Page Settings,Reduce File Size,Acrobat Reader Settings,Archive Using PDF/A. PDF Creator - Create Optimized, Secure PDF Files Instantly. * Encrypt your PDFs. Secure your PDF files using 128-bit RC4 or AES encryption algorithms. * Set Document Properties. Define Title, Author, Subject and Keywords to help organize your documents. * Custom Page Settings. Create PDF files with custom pages sizes, margins and orientation. * Acrobat Reader Settings. Set default view including page layout, initial zoom and page thumbnail view. Qweas is providing links to Solid PDF Creator 7.2 build 1080 as a courtesy, and makes no representations regarding Solid PDF Creator or any other applications or any information related thereto. Any questions, complaints or claims regarding this application Solid PDF Creator 7.2 build 1080 must be directed to the appropriate software vendor. You may click the publisher link of Solid PDF Creator on the top of this page to get more details about the vendor.